So please enjoy this all-inclusive tour of the Dance Team and (females of the) Cheer Squad. Click on the pics to zoom in, especially on the more horizontal ones, and come back soon for more. I still have about 100 other shots from the last three games that have been prepared for posting, but just haven’t made it to your screen yet. The girls are just so stunning, that I am overwhelmed with a plethora of photos worthy of posting, but I don’t want to overload your senses or your servers with more than 35 or so at any one sitting. Your 2011 UCLA Dance Team! 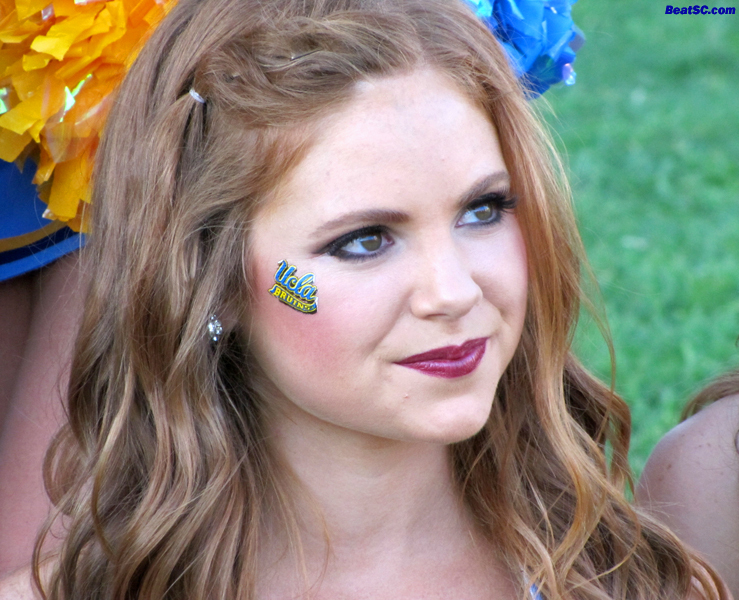 "CLOSE-UP MAGIC" was published on October 10th, 2011 and is listed in UCLA/usc/Cheerleader Photos. Great job TH, thanks for the intros. The girls are beautiful and talented as always ..
Bless the Trojan Hater… bless Riana… bless the UCLA Dance Team… GO BRUINS! Our Dance Team is just top-notch.